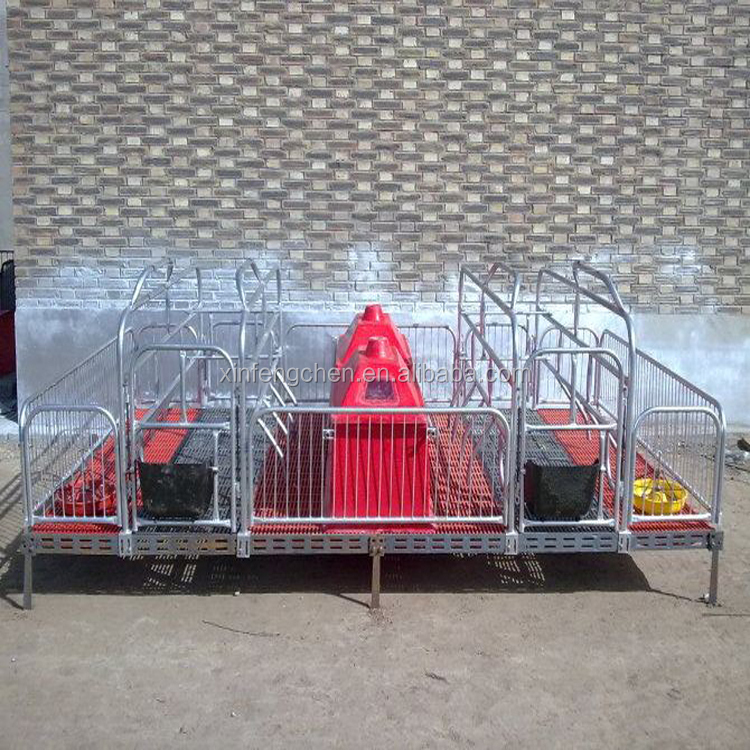 The farrowing crate is specially designed for farrowing and suckling piglets,which divided to sow single crate,piglet fence,piglet warm-box,sow and piglet feed trough. 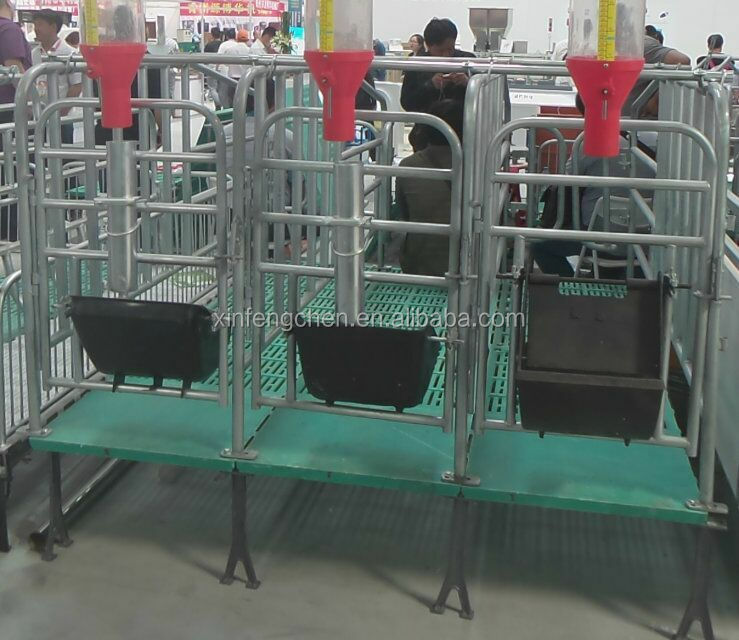 1.Female pig part is supported by engineering plastic casted steel which gives toughness for weight bearing purposes. 2.Piglets part is made of strengthened plastic which avoids the piglet's belly getting cold under low temperature. 3.Individual partition gives excellent division for pigs which avoids piglets getting crowded. 4.Rear partition design ensure the good positioning when females take urinates. 5.High quality insulation equipment ensures optimal temperature of 30 degrees for new born piglets. 6.To provide good sanitary conditions to prevent accumulation of living things and reproduction of bacteria ,reduce piglet disease. 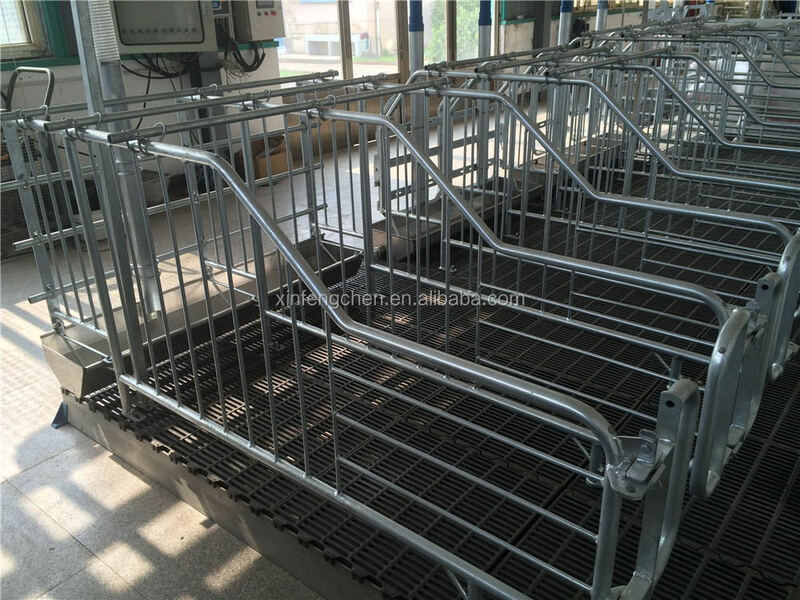 Pig gestaion crate save floor space and limit the activities of the pig,so that the pia can grow faster,convenient feeding and cleaning. 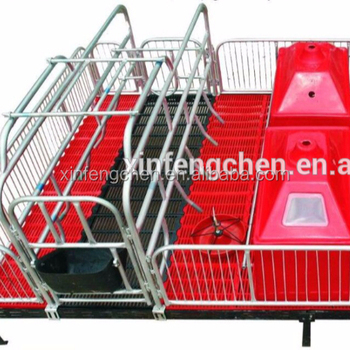 5.Independent space,avoid the sows scramble,reduce the abortion rate. Our own Design Engineer team continuously developing new design product, and we are very honored to recommend own design to sincerity customers. 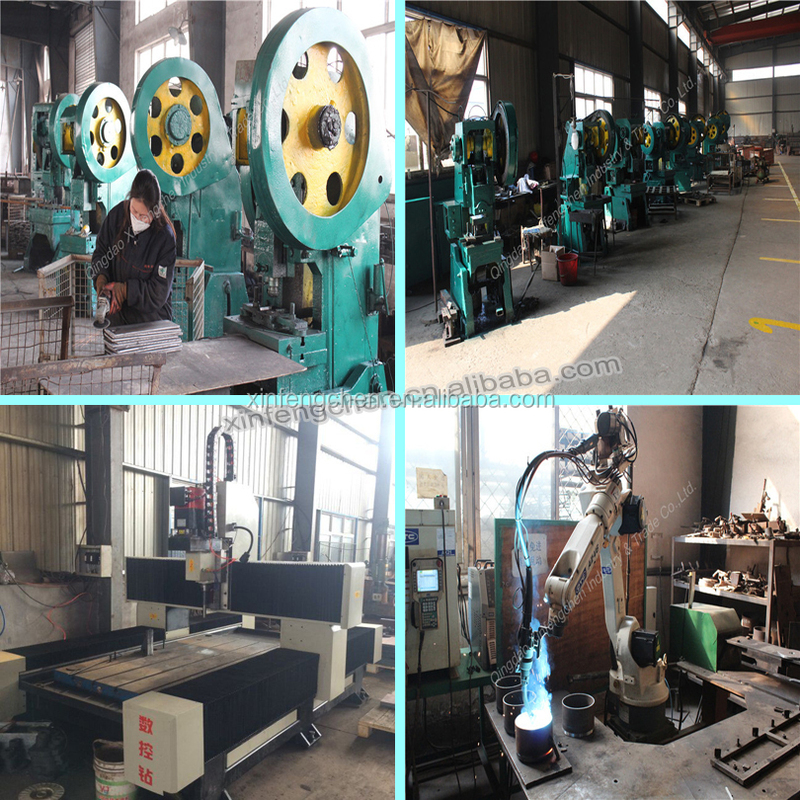 We can produce the equipments as your requirements if you give us drawings. We can print the logo according your requirement. 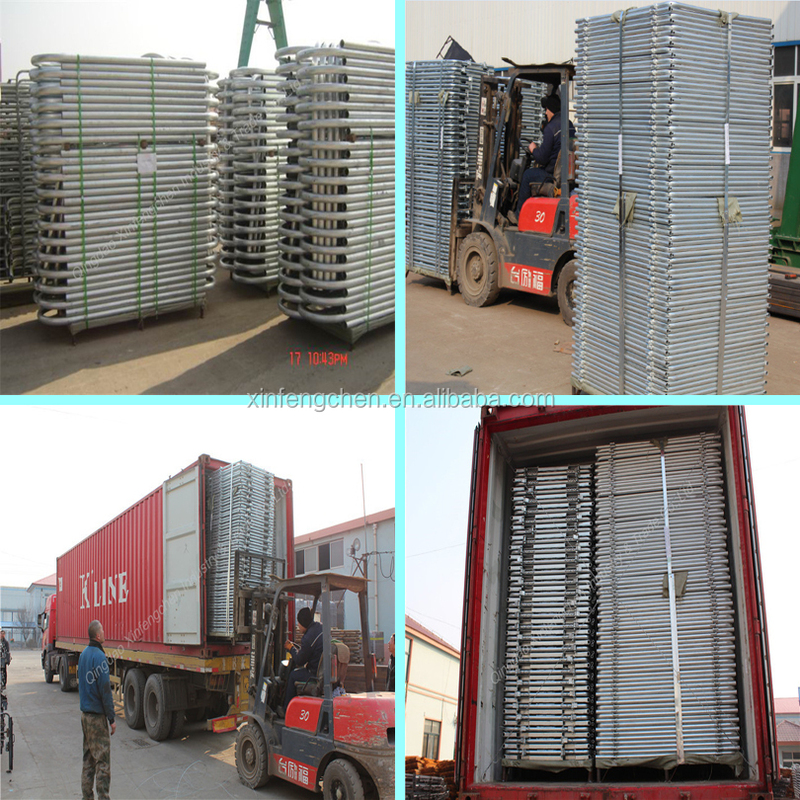 All specification and design can be customized. Have fully mastered the overall processes and control methods of project development and implementation. We have the capability of Technical/Industrial Design Engineer and Trading a team. 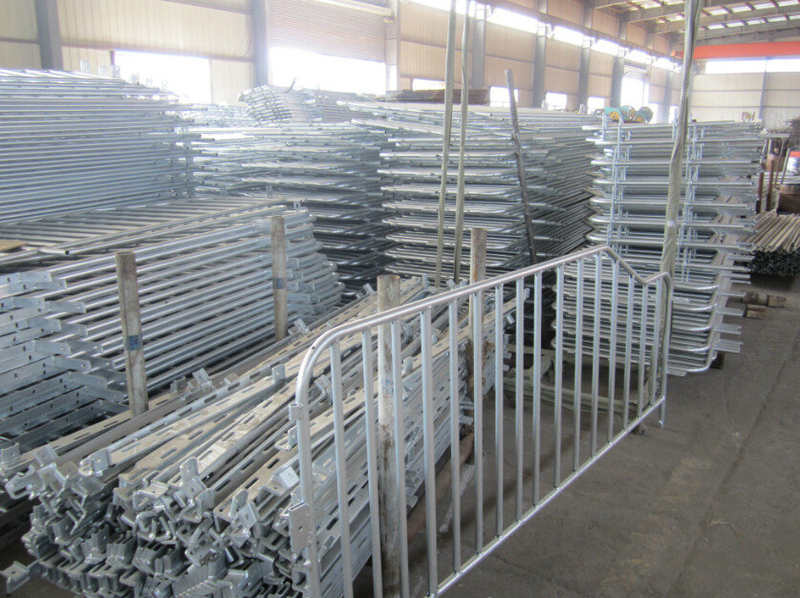 Qingdao Xinfengchen Industry & Trade Co., Ltd.